Following the decision of the Europa Nostra Board at its meeting held on 26 March 2019 in Vienna, Europa Nostra launches an appeal to Serbian national and local authorities, European and International Institutions and committed citizens around Europe and beyond to stop the unsuitable intervention planned at the site of the Belgrade Fortress, one of the most important historical monuments of the Republic of Serbia and of Europe as a whole. The site, inscribed since 2015 on Serbia’s Tentative List of properties for potential future nomination to the UNESCO World Heritage List (as part of the serial site ‘Frontiers of the Roman Empire’), is seriously threatened by an ill-conceived construction project that plans to build a one-kilometre long cable car (gondola lift) into the very walls of the Fortress, purely as an attraction for tourists and without proper consultation with the experts and inhabitants concerned. Photo: Belgrade Fortress, CC BY-NC-SA Europa Nostra. In a gesture of full solidarity and support, Europa Nostra will send a high-level delegation to Belgrade at the beginning of May to undertake discussions with heritage experts, civil society and the authorities concerned. In the meantime, Europa Nostra supports the online petition against the proposed cable-car project which was started mid-March upon the initiative of Europa Nostra Serbia and with the support of a large number of heritage organisations and professionals from Serbia. This petition has already been signed by more than 15.000 people and is available in Serbian and English language. The Europa Nostra now invites heritage professionals and volunteers from all over Europe and beyond to sign and share this petition (for more information see below). The Belgrade Fortress site, known as Kalemegdan, is of exceptional historic, archaeological, cultural and aesthetic value. Not only has it served as an important military site for the defence of the Roman Empire since the 1ST Century AD, it has also borne witness to the presence of humans since the Neolithic Period. Thus, the site is key for understanding the development of Belgrade and the presence of the various civilisations from Prehistoric to present-day times. In addition, the site has an exceptional geographical position and offers a viewpoint of unique aesthetic value, with the Fortress on the hilltop overlooking the confluence of the Sava and Danube rivers. Despite being a protected site of exceptional importance for the Republic of Serbia, and included in Serbia’s Tentative List of properties for nomination to the UNESCO World Heritage List since 2015 the Fortress is now in imminent danger due an ill-conceived construction project initiated by the Belgrade City authorities in 2018. The plan is to build a cable car (gondola lift) over the Sava River, connecting the Belgrade Fortress with the opposite bank of the river, purely as an attraction for tourists. The cable-car line would be around 1 km long and would stand on 6 high concrete pillars, with one side of it built into the very walls of the Fortress. The measures taken and the decisions made in the process to construct such a cable-car violate the legal requirements and professional standards for heritage protection and urban planning. Should the proposed construction of the cable-car system be implemented, the Belgrade Fortress and its surrounding area would be negatively and irreparably affected, harming the invaluable cultural and natural heritage of the Republic of Serbia and of Europe as a whole. To further support the campaign, Europa Nostra Serbia has joined forces with 20 professional associations, scientific institutions and universities dealing with heritage in Serbia and has sent letters of protest to the manifold authorities concerned. A letter of protest was addressed to the Minister of Culture and Information of the Republic of Serbia, Mr. Vladan Vukosavljević, demanding urgent action to stop the destruction of the Belgrade Fortress in compliance with national legislation as well as international conventions on heritage protection ratified by the Republic of Serbia. The Minister has accepted to meet a delegation of Serbian organisations who have launched the campaign against the cable-car project on 11 April in Belgrade. In order to raise awareness and understanding of the issues at stake among the international community, Europa Nostra has also reached out to prominent EU and international institutions. 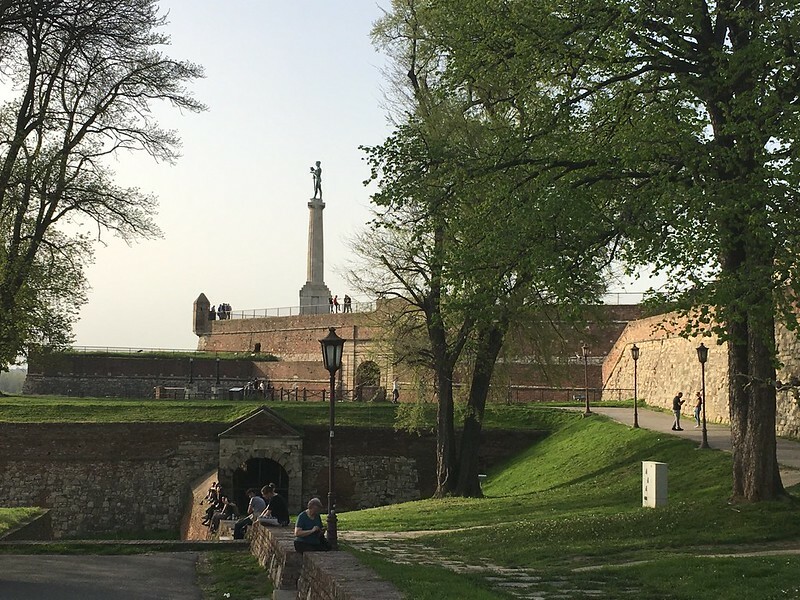 A letter (PDF) was sent to Mechtild Rössler, Director of the UNESCO World Heritage Centre, appealing to UNESCO to provide advice and assistance to help preserve the Belgrade Fortress Tentative List property in its entirety. On Friday, 5 April, a meeting was convened at the UNESCO headquarters in Paris between the Director of the UNESCO World Heritage Centre, Mechtild Rössler and Secretary General of Europa Nostra, Sneska-Quaedvlieg-Mihailovic, to discuss this pressing matter. We need your help to save the Belgrade Fortress! Europa Nostra encourages all those individuals who care for cultural heritage to support the campaign and sign the petition to save the Belgrade Fortress and stop the construction of the cable-line, which would mean an irreversible and irreparable loss for present and future citizens of Belgrade, Serbia, Europe and the world. Don’t forget to share and disseminate – there is strength in numbers!